Helen's first time on the beach this year. 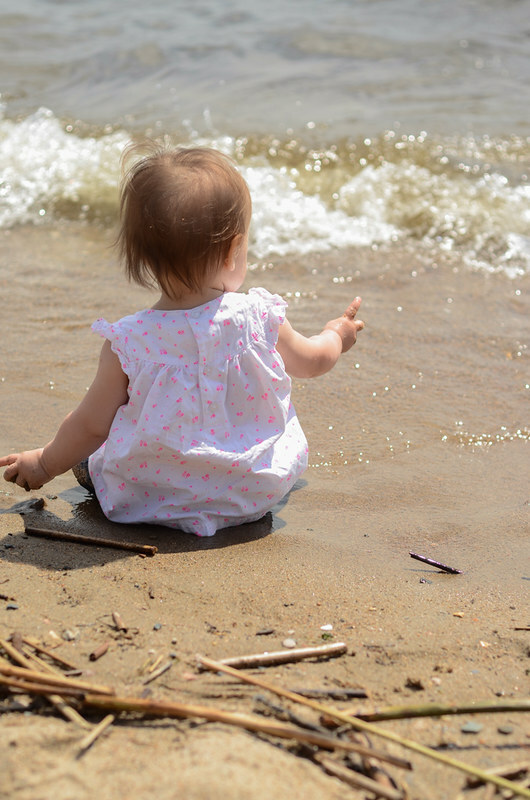 She was terrified of the waves at first, but she eventually became bold enough to sit right down in the water. I hope she enjoys swimming! 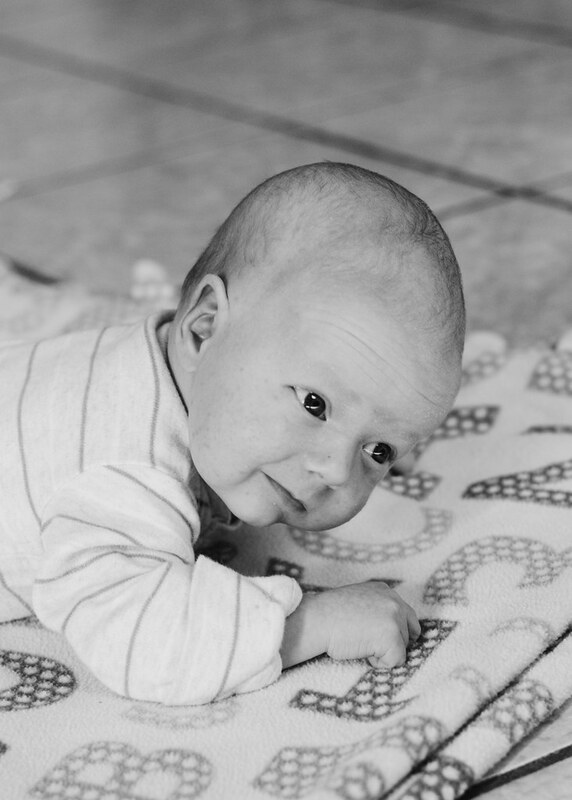 Gus Gus. 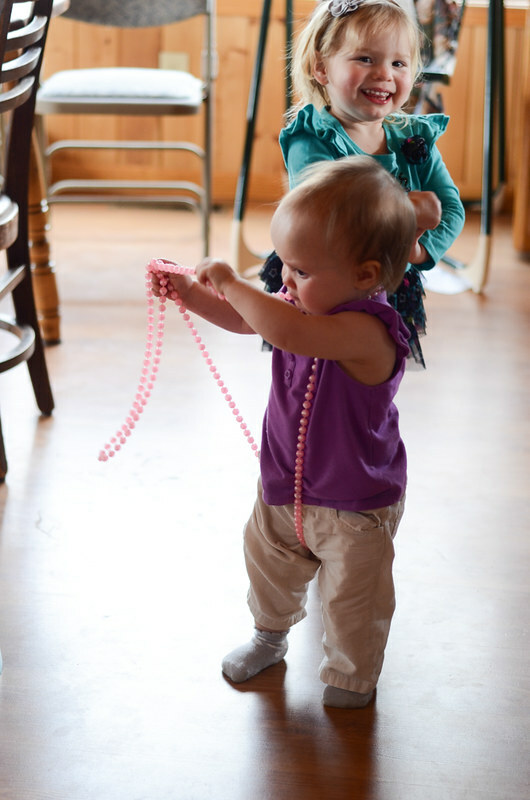 She even tripped on the beads. I can finally put Helen's hair in pigtails - when she'll hold still long enough. 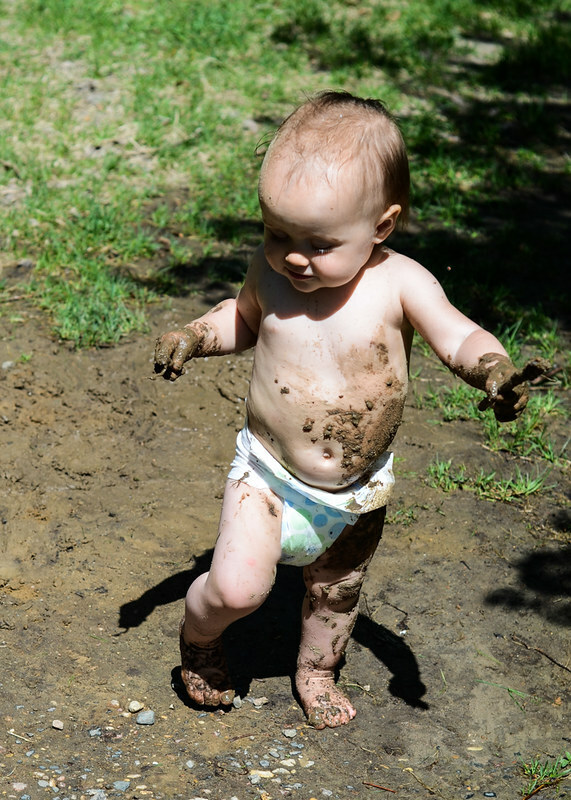 Mud + Baby = Happy Baby. 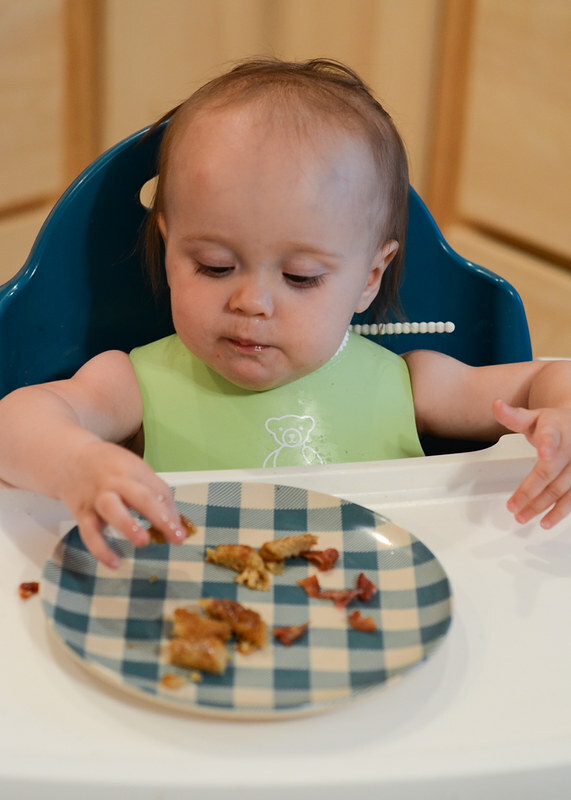 Helen had (additive free) bacon and (sprouted) pancakes for the first time! She loved them. 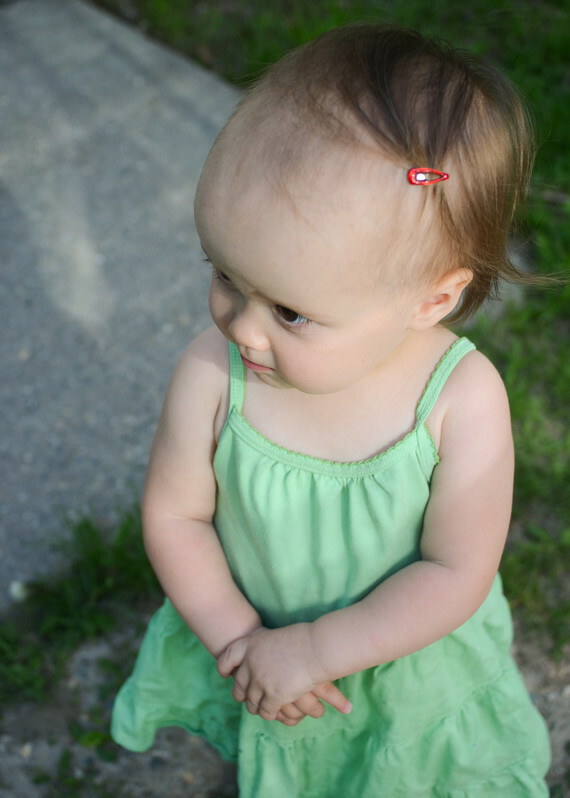 I really wish she wouldn't pick her little barrettes out of her hair - they're so fetching. 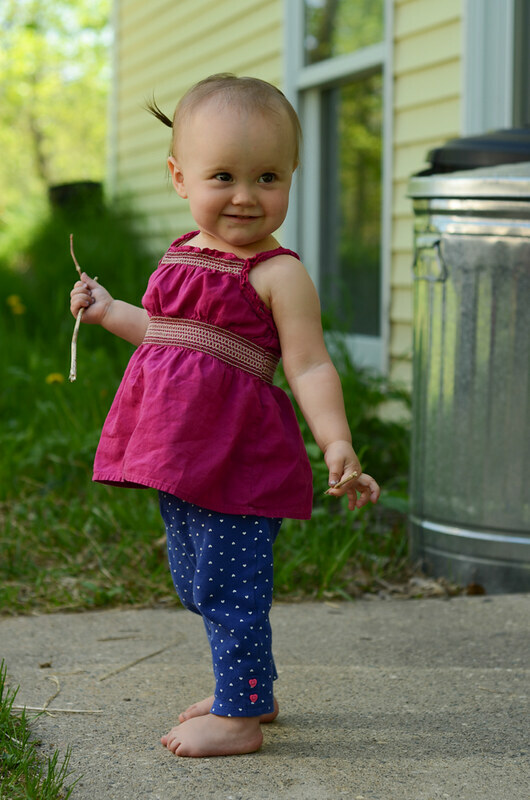 She is just adorable. I like the last picture, where she is holding her hands.